*0cm of fresh snow has fallen in the last 24hrs just outside of Hirafu Village. At 7:00 today the temperature was 2°C. So no snow fell in the last 24 hours – another day of clean fresh groomers. 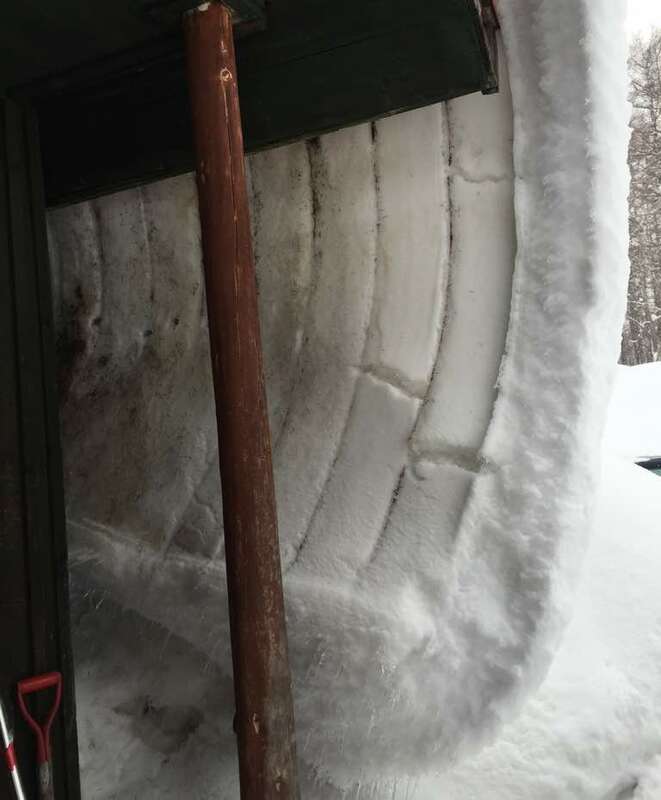 Instead of a photo of a ruler with no snow around it, here’s a crazy roof curl for your viewing pleasure.